Our computers and phones keep us connected but a key ingredient in them keeps children as young as six locked in a vicious cycle for about US$2 a day. This cobalt is found in every lithium-ion rechargeable battery on the planet – from smartphones to tablets to laptops to electric vehicles. It is also used to fashion superalloys to manufacture jet engines, gas turbines and magnetic steel. You cannot send an email, check social media, drive an electric car or fly home for the holidays without using this cobalt. As I learned on a recent research trip to the Democratic Republic of the Congo, this cobalt is not awash in cerulean hues. Instead, it is smeared in misery and blood. Elodie is 15. Her two-month-old son is wrapped tightly in a frayed cloth around her back. He inhales potentially lethal mineral dust every time he takes a breath. Toxicity assaults at every turn; earth and water are contaminated with industrial runoff, and the air is brown with noxious haze. Elodie is on her own here, orphaned by cobalt mines that took both her parents. She spends the entire day bent over, digging with a small shovel to gather enough cobalt-containing heterogenite stone to rinse at nearby Lake Malo to fill one sack. It will take her an entire day to do so, after which Chinese traders will pay her about $0.65. Hopeless though it may be, it is her and her child’s only means of survival. More than half of the world’s supply of cobalt is mined in the “copper belt” of the south-eastern provinces of DRC, a 2016 report by Amnesty International says. According to the government agency charged with oversight of the informal or “artisanal” mining sector, at least 20% of this supply is mined by locals like Elodie, called creuseurs, Amnesty says. The remainder is produced by industrial mines that are typically operated by foreign companies following the collapse of the state-owned mining company, Gécamines. Across the south-eastern provinces, I observed that Chinese companies run many of the industrial mines in the region. The Chinese also appear to run most of the “buying houses” that purchase cobalt from children such as Elodie. Every one of the 23 buying houses I documented in detail were operated by the Chinese, and I must have seen a hundred more with Chinese traders inside. These companies are collectively worth trillions of dollars. 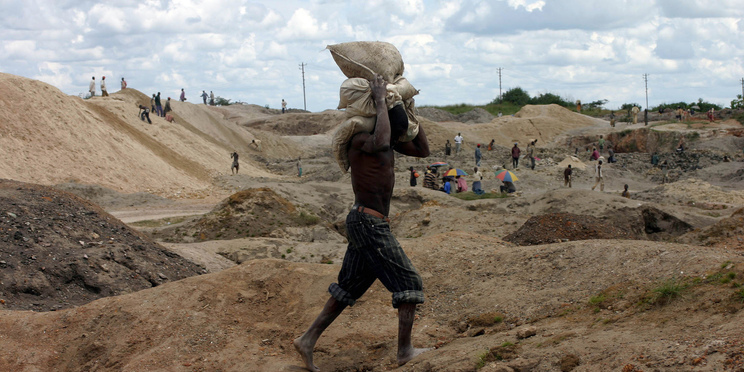 Yet according to Amnesty International in a report at the end of 2017, none of them are making sufficient efforts to ensure that their riches are not being built on the backs of the oppressed women, men and children of the Congo who toil in putrid conditions, endure pitiful wages, grave injury and risk death to mine their cobalt. 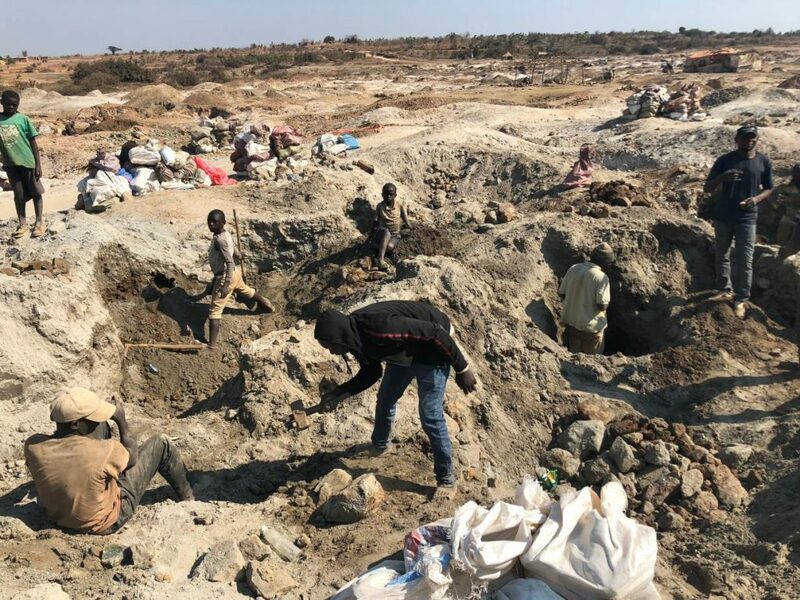 I documented the horrors at 31 artisanal mining sites in the south-eastern provinces, including several previously undocumented sites in remote mountains near the Zambian border. Based on the data I gathered, I estimate there are more than 255 000 creuseurs mining cobalt in DRC, at least 35 000 of whom are children, some as young as six. The cobalt under Kolwezi is purer than at Elodie’s site, so the traders at the nearby buying house pay a higher rate for each kilogramme. It works out to roughly US$1.80 a day in income for Arthur, but he is unlikely to get to keep all of it. Numerous local creuseurs told me that children like Arthur are forced to pay bribes to the local government functionaries who are supposed to ensure there are no children working at sites like Kasulo.